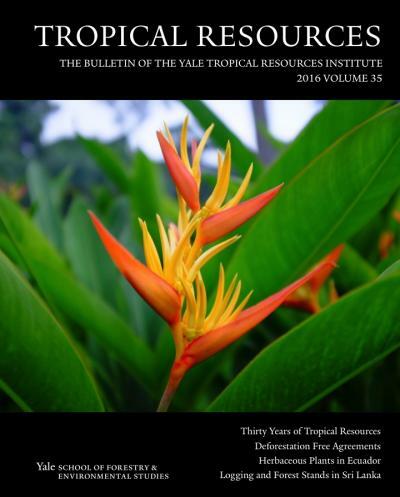 The Tropical Resources Institute publishes Tropical Resources: The Bulletin of the Yale Tropical Resources Institute, an annual journal of student research carried out with the support of grants from TRI’s endowed fellowship fund. This publication highlights the breadth and depth of work carried out by F&ES students in the tropics. Browse articles from the latest issue below or click the cover image to view the PDF. All previous volumes are archived here.